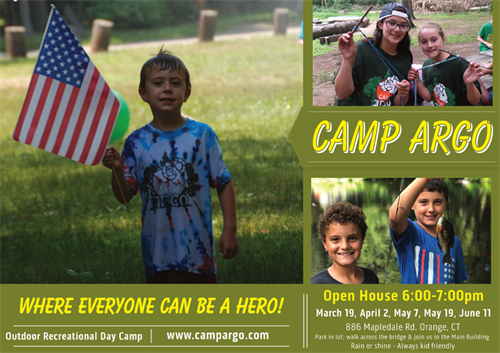 New prospective families are invited to the 2019 Camp Argo OPEN HOUSE (#2). Kids are always welcome! Learn more about camp, meet some of the counselors, take a brief tour and ask any questions. Please park in the main parking lot directly off of 886 Mapledale Rd. and then walk across the bridge to the main building. Feel free to share to others that you feel would be interested or who may have questions. Your friends, family & neighbors are all welcome to have fun with us at Camp Argo this summer! Follow us on Facebook and Instagram @campargo1.